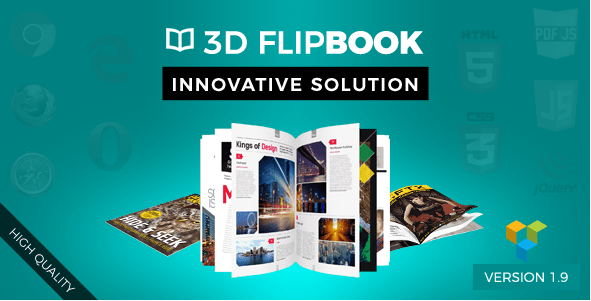 Create any FlipBook with ease. Comes with: bookshelf, pop-up, zoom, Print Extension, PDF To Extension, table of content, hard covers, flat design, custom styles, lazy load. From the creators of the best selling ever, we present Responsive WordPress Plugin. It is fully HTML & jQuery driven no Flash Player needed. Works on desktop and mobile devices! You get the same experience on every platform because responsive design makes it look good on all resolutions. Easy to customize with an advanced admin panel. With version 2.0 it has been complete rewriten from the ground up. Big Thanks to 24beyond for letting us use their brochure & magazine mockups! 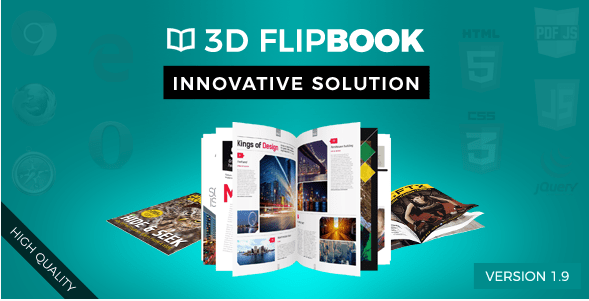 Real3D Flipbook transforms your documents into realistic 3D flipbooks with physics powered animations, lights and shadows. No flash needed, 100% HTML5. No server side conversion, everything is done at runtime, you just set the pdf file url or images. It supports dynamic HTML content on pages, add youtube video, text, image, link, iframe and style it with inline CSS. 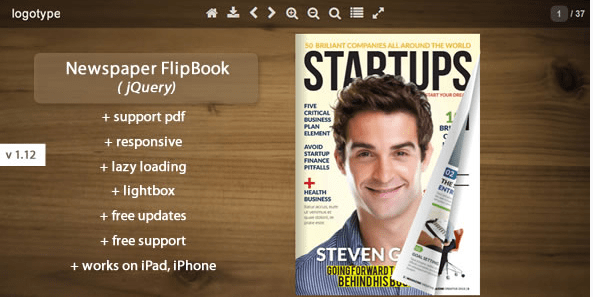 Pdf flipbook supports internal and external links. Pdf flipbook supports text search with keyword highlight. It comes with multiple view modes that can be used as default, as fallback or only on mobile. Default view mode is WebGL with realistic physics, lights and shadows. There is 3D mode that is based on CSS 3D transformations. 2D mode is based on CSS 2D transformations. There is also swipe mode that uses swipe effect instead of flip. It is a mature product that offers the best reading experience on all platforms and devices. All future updates are free. Source files and documentation included. Using the library PDF.js, Wowbook can render PDF files with support for internal links, external html links, index and selectable text. 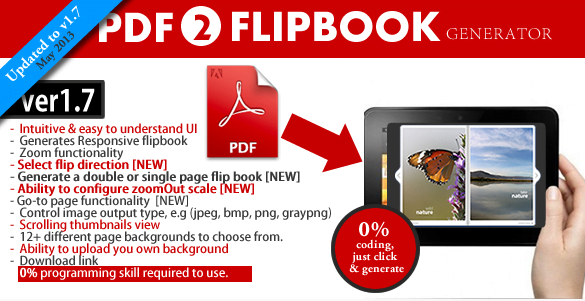 Convert any PDF to FlipBook with just few click. 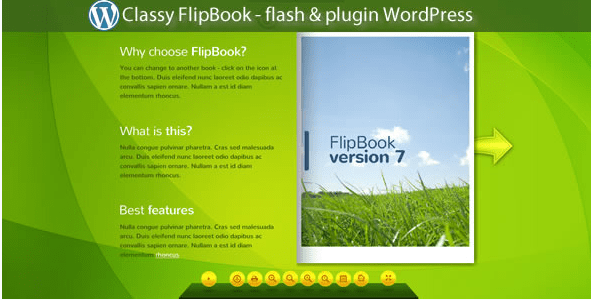 This is Responsive FlipBook Pluginextension which comes with: bookshelf, zoom, hard cover, lazy load and much more. With PDF Wizard – Responsive FlipBook WP Extension you will easily convert any PDF into a fully functional FlipBook with just few clicks. It works on any server, high resolution images for zoomed pages will be created for you automatically. The process is completely effortless and doesn’t require any technical knowledge. To see how easy it is just view our video presentation. 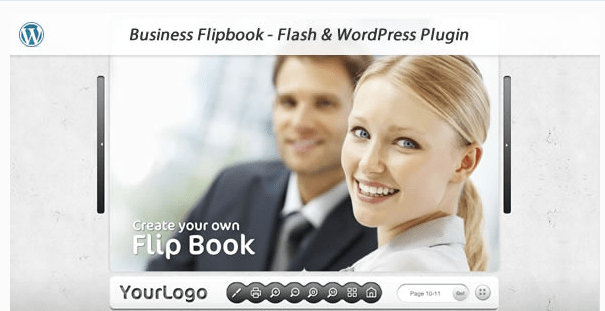 This plugin only works with our Responsive FlipBook WordPress Plugin. any width for Flipbook, you can add to your site – working on layout responsive and not responsive. 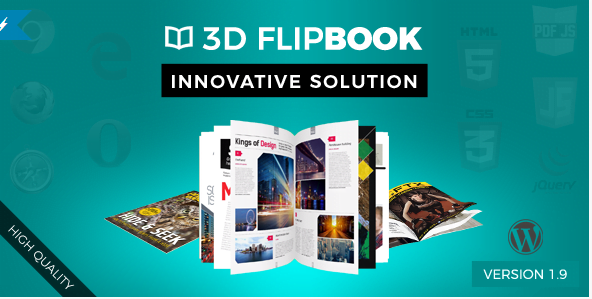 From the creators of the best selling Flip Book ever, we present Responsive Flip Book. It is fully HTML & jQuery driven no Flash Player needed. Works on desktop and mobile devices! You get the same experience on every platform because responsive design makes it look good on all resolutions. 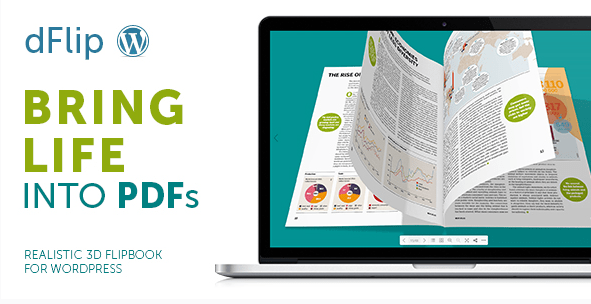 Just add the link to the PDF file and your PDF Flipbook is ready to use. You don’t need traditional PDF to Image conversions anymore. 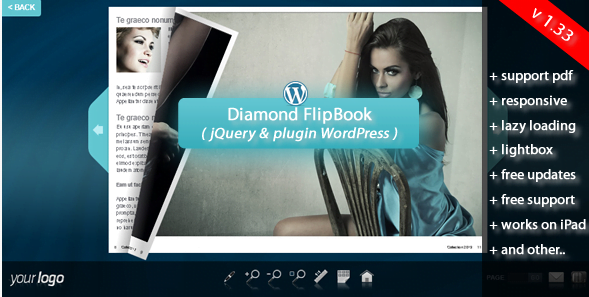 DFlip is stunning realistic WordPress Flipbook Plugin, based on modern WebGL technology. You can also create image based Photo Flipbooks. All you need is a PDF link. No PDF to Image conversion required. 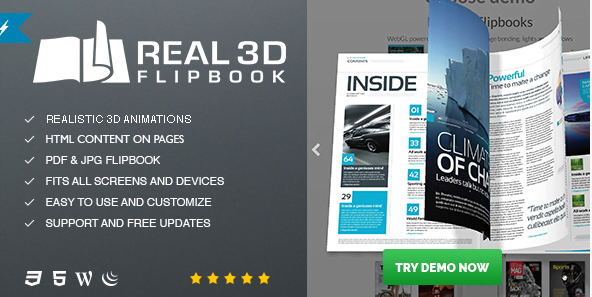 It’s not just easy, it’s also stunningly realistic 3D Flipbook based on modern WebGL technology. Apart from PDF Flipbook you can create Photo Flipbook with images too. You can create a book directly from the PDF file. Pdf file is automatically converted to jpg files. See here video tutorial. You can upload all your pages at once – no need to add each page separately. See here video tutorial. You can also add pages separately ( you can make also text in wysiwyg editor ). See here video tutorial. 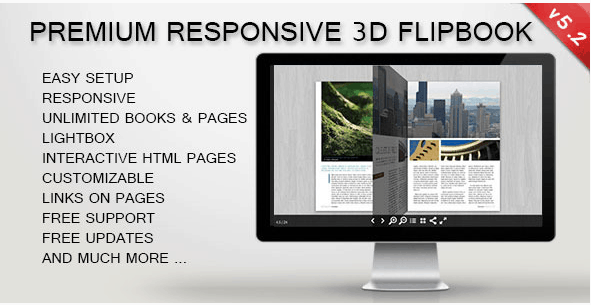 3D FlipBook is WordPress plugin that allows to browse images, PDFs or HTMLs as a flipping book. It can be used for demonstration magazines, books, cards, brochures, booklets and much more in natural way. It helps to attract user attention and make more impression on him. Flipper is a WordPress plugin that lets you transform any content to a beautiful book-like slider! Book can read PDF files without converting to jpg files. Used is an awesome library PDF.js. PDF.js works in the following browsers: Firefox, Chrome, Opera, IE10+. Limited support for Safari, Android and IE9. NOTE: If someone wants to use locally – PDF.js locally on your computer only works with the Firefox browser. 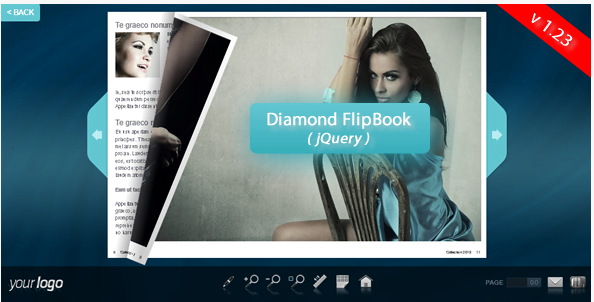 Flipper is a jQuery plugin that lets you transform any content to a beautiful book-like widget! Yes! Flipper is very optimized for touchscreen. In fact, it feels even better when you flick the pages with your finger! 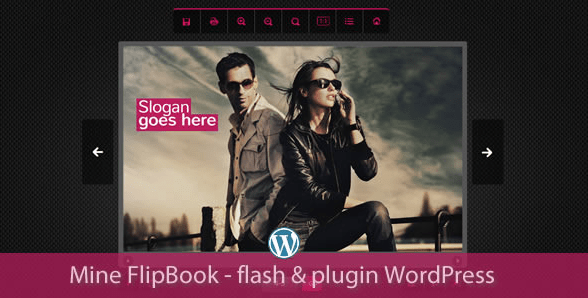 This plugin is designed to embed PDF files to your WordPress sites. 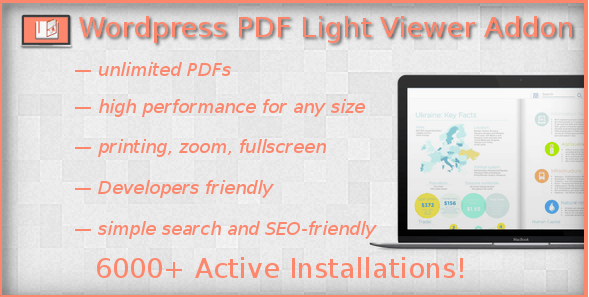 You could add unlimited amount of PDF of any size without performance issues. You can create a book directly from the PDF file. Pdf file is automatically converted to jpg files. 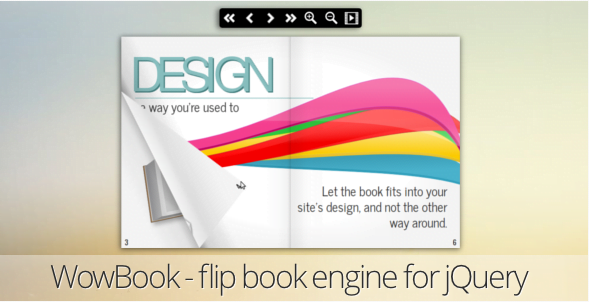 Create beautiful and interactive flipbooks, magazines or books. 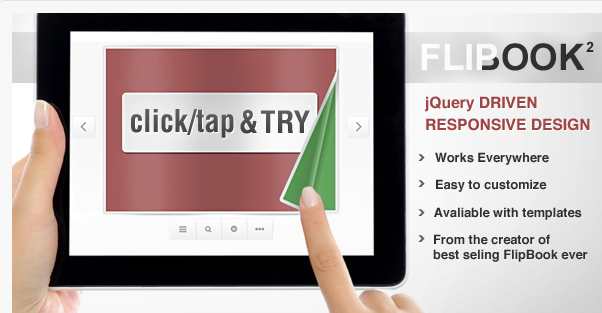 Magalone automatically converts your existing PDF document into an interactive and state of the art flipbook. No dependencies on other libraries like jQuery or Bootstrap, Magalone works 100% independent. Support for smartphones, tablets, touchscreens and low bandwidth situations. Easily print any page form your FlipBook. This is Responsive FlipBook Pluginextension which comes with: bookshelf, zoom, hard cover, lazy load and much more. 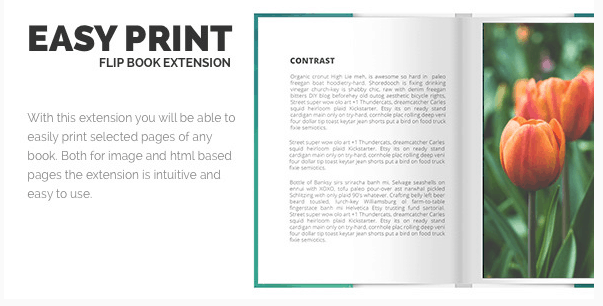 With Easy Print – Responsive FlipBook WP Extension you will easy print any page or book. Event the HTML pages are automatically rendered. The process is completely effortless and doesn’t require any technical knowledge. To see how easy it is just view our video presentation. 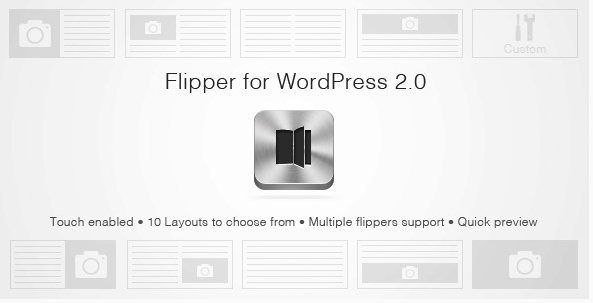 This plugin only works with our Responsive FlipBook WordPress Plugin. 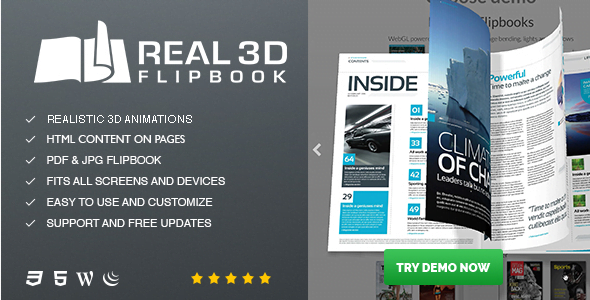 3D FlipBook is jQuery plugin that allows to browse images, PDFs or HTMLs as a flipping book. It can be used for demonstration magazines, books, cards, brochures, booklets and much more in natural way. It helps to attract user attention and make more impression on him. 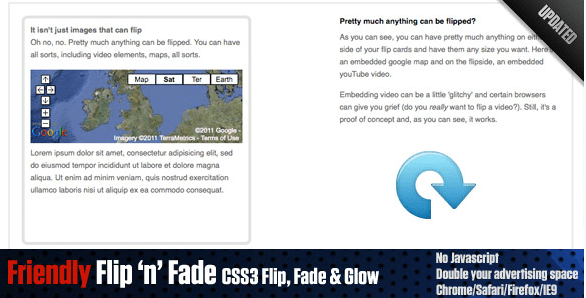 Friendly Flip ‘n’ Fade – CSS3 flip, fade and glow! Gorgeous, subtle and useful CSS3 flip, fade and glow transitions/animations. If you need to extend your website’s real estate without making your page longer or wider, then you’ll need to utilise your space more effectively. Want to offer your advertisers a unique opportunity (double the normal 125×125 space without increasing their impact on your website)? Great for online shops – hover over an image to display a different image – by either flipping or fading to it. 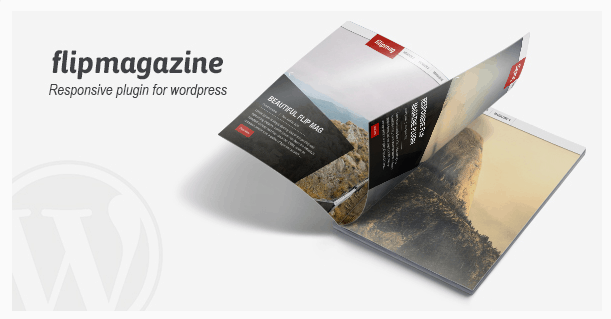 Flip Magazine is a premium plugin for creating wonderful HTML5 and full width pages as a magazine or image galleries, even from your WordPress posts or your photos. 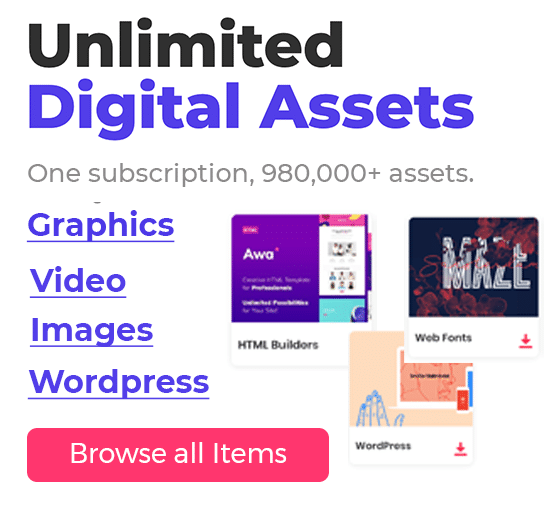 Page template, So you can build unlimited pages and each page its own settings. It?s device friendly by supporting responsive mode, multiple layouts, touch gestures on mobile devices, It?s also SEO friendly by allowing you to build semantic markup with custom attributes that search engines can index easily. 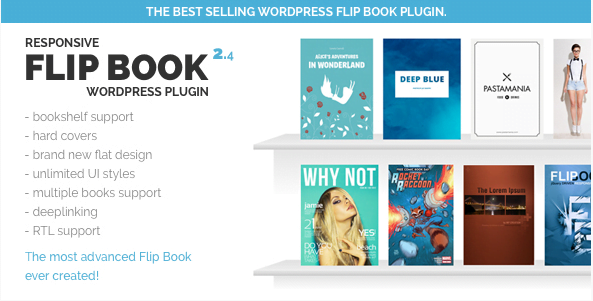 Unreal FlipBook is Visual Composer Add-on that allows to browse images, PDFs or HTMLs as a flipping book. It can be used for demonstration magazines, books, cards, brochures, booklets and much more in natural way. It helps to attract user attention and make more impression on him.